Jeannette Brechin, 64, was pronounced dead at the scene on the B951 in Perth and Kinross. A woman who died after her car came off the road in Glenshee has been named by police. 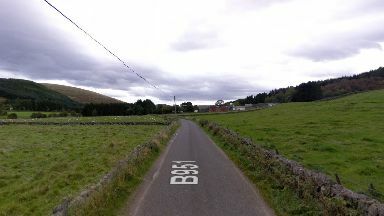 Jeannette Brechin, from Duns in the Scottish Borders, was pronounced dead at the scene on the B951 Cray to Brewlands Bridge Road at around 12.30am on Sunday. The 64-year-old was the sole occupant of the Kia Sorento. A Police Scotland spokesperson said: "We can confirm that a woman who died as a result of a road traffic collision involving one vehicle on the B951 near the A93 on Sunday, January 27 has been formally named. "She has been named as 64-year-old Jeannette Brechin from Duns, Scottish Borders. "Our thoughts are with her family and friends."